I am really excited to present the first Alaskan cardmaking cruise. We will be sailing from Seattle, (a bus is available to pick up cardmakers in the Vancouver area to take us to the pier in Seattle) through the inside passage to Alaska and returning back to Vancouver, BC Canada. We will have five different wonderful instructors teaching incredible cardmaking classes. We will have a fun events with prizes. Please join us for a great time meeting wonderful friends. We will be sailing on Rhapsody of the Seas which is a Royal Caribbean Cruise Line ship. Your evenings are free to experience the cruise entertainment such as Las Vegas style shows and the casino. This ship has a rock climbing wall, several lounges and lots of open space. Don't forget to check out the Day Spa. I have chosen one instructor for each of the five classes. In this way, you will have the opportunity to experience five different styles of cards created by five different fabulous instructors. Speaking of instructors, I would like to introduce Maureen Holanti as an instructor on this cruise. Maureen has been stamping for many years and is our one Stampin Up demonstrator. Her cards are elegant and beautiful. Experienced cardmakers will love her style. Don't be concerned if you are a beginner cardmaker. Maureen will have two assistants who will help you with any concerns. Maureen will be doing a Christmas card class in which she teach four stunning cards. We don't have prototypes for the class yet. This will take a few months when the new Christmas papers and stamps are sold. However, here are some examples of cards Maureen has done for her past classes. Again, please note that these cards are just examples of Maureen's work and will not be taught in the Christmas class on the cruise. The style is similar, but the actual samples will be posted in a few months. Maureen's blog is http://grandmamoestamping.blogspot.com to see more great card samples. I know you're asking "How do I book this cruise and join in on the fun?" 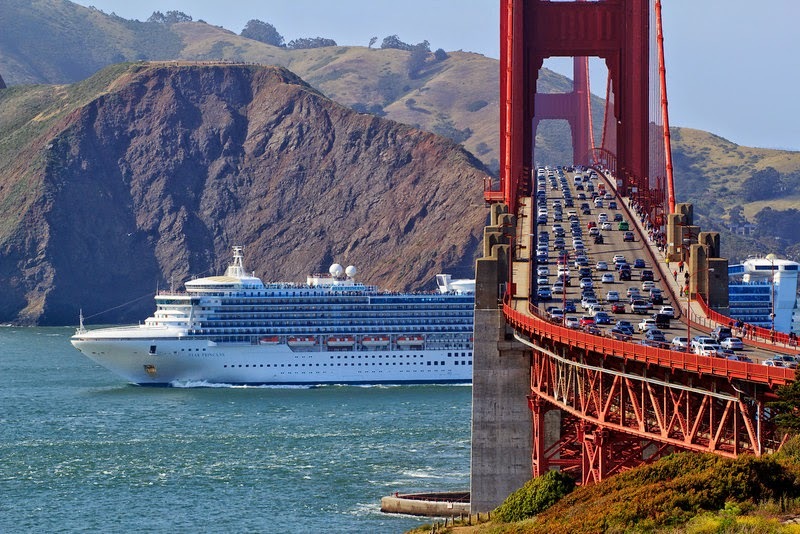 You must book your cruise through Donna Athey from CruiseShipCenters. She has been a cruise specialist for several years and has hosted theme based cruises in the past. By booking through Donna, I will know exactly how many passengers will be participating in Sailing with Scissors. Also, Donna can provide you with information about class pre-registration. I know you're thinking "I have a perfectly fine travel agent that I use, why can't I just use him/her?". In order to keep the Sailing with Scissors group, we need to all book through Donna. You will love her. She's fabulous. Please note that cardmakers do not pay extra for the cruise cost. The rate for this group is for anyone who like to travel on this cruise. The prices indicated below are Early Bird prices and they can increase or change at anytime, so book now! Prices are per person in Canadian funds, based on double occupancy, for a specific stateroom category and subject to availability at time of booking. Govt. fees/taxes & Alaska entry tax are an additional $409.00 CAD per person. Taxes are subject to change. Bus Transfer from Vancouver to Seattle included in price is based on 36 people booked in this group. Rates are subect to change without notice. CruiseShipCenters or myself, Jessie Hurley is not responsible for errors or information that may occur as a result of transfer of information from select third parties, technical or human error. **Prices are per person in US funds, based on double occupancy, for a specific stateroom category and subject to availability at the time of booking. Govt fees/taxes & Alaska entry tax are an additional $371.00 per person. Taxes are subject to change. If Bus Transfers required, this is at an additional cost. Rates are subject to change without notice. CruiseShipCenters or myself Jessie Hurley is not responsible for errors or information that may occur as a result of transfer of information from select third parties, technical or human error. Is it a Goody Bag or Goodie Bag...either way, you're getting one! All instructors and all guests who register for at least TWO classes will get a free goodie bag filed with cools treats. Come and meet other cardmakers and possibly win a prize! After our Meet and Greet, we will be doing a card swap. I will be giving prizes for my favorite three cards that we receive. There is no cost and anyone can participate in the Swap. Instructors are free to participate in the Swap, however not in the prizes...sorry instructors. There will be no theme. Do whatever card your artistic heart leads you to make. It can be a birthday card, tri-fold card, masculine card, sympathy card or any other type of card. -You will need to bring 11, 21 or 31 cards which are 4 1/4 inches by 5 1/2 inches (A2 size). The extra 1 card is for my judging table. -The cards must NOT be card fronts, they must be full cards with a front and a back. -The cards must have at least one layer and 2 embellishments. An embellishment can be ribbon, eyelets, brads, dew drops, charm, gem, or other 3-D item. -Please do not write on the card. Instead, attach a post-it note to the back or inside of your card identifying your name, your blog, your store...etc. Some participants give away cards that they receive in swaps, so again I ask that you do not write on your cards. This is a wonderful way to meet new people and make new friends on the cruise. Who knows, you may make life long friends on the cruise. Wood Mount Game...Watcha Talkin' About, Jessie? I assure you this will be a very fun game. I am keeping the details secret for now. This will just add to the fun. If you wish to participate, there is no cost. All you need to bring is one wood mount stamp that is new, or slightly used (no more than 2 uses, and no ink residue on the wood mount or the rubber). You will not get your stamp back, so make sure you will not be sad to part with that particular stamp. The wood part of the stamp must measure at least 3 inches by 2 inches, in either direction. I'm bringing my ruler, to keep it fair! You will get a new-to-you wood mount stamp, and make someone else happy with your unwanted stamp. ---Welcome Meet and Greet 10:00 am to 11:00 am. ---Card Swap and contest 11:00 to noon. I will be giving prizes to the 1st, 2nd and 3rd place winners. *We don't yet know which class will be held on which date but we'll keep you posted. If you wish to be a member of the Sailing With Scissors crew, you will need to pre-register for TWO of the wonderful classes available. Our instructors are fabulous. You will not be disappointed. We will have five classes taught by five different instructors on the cruise, during the "at sea" days. At this point, we have three Christmas card classes, one cardmaking class using Acrylics and one All Ocassion card class. We will have seasoned instructors who will have assistants to help beginners or anyone with questions. The cost for each class is $30. It includes all the cardstock, paper and embelishments for making the cards. In order to pre-register for your classes, please phone 604-949-1872 which is the number of my store, Cherish the Thought. Please tell my staff member which classes you would like to register for and she will take your credit card information from you. Your credit card receipt will be given to you on the cruise. Pre-registration is necessary so the instructor knows how many card kits to prep for the class. -your favourite adhesives such glue runners, a glue pen (for small embellishments), and Tombo-like glue. -foam tape adhesive, or dimensionals, they are sometimes called “Pop ups”. -fine tip scissors for cutting ribbon and a pair of regular scissors. a small brown ink pad for distressing, a sponge, a sanding block (or a bit of sand paper), and a bone folder. We have reserved a conference room so the lighting should be fine. However, please feel free to bring your own battery operated (unsure of plug situation) light. ---Please note that we are paying for the instructors from the class fees, not from the cruise fare (that is why the cruise cost is so reasonable). As a result we are unable to issue you a refund for the class for any reason. You will be given the card kit materials to make your card at home, if you are unable to attend the class.